How classy does this combo look? The saran wrap marble technique is so easy yet effective, and the red and gold look perfect together! 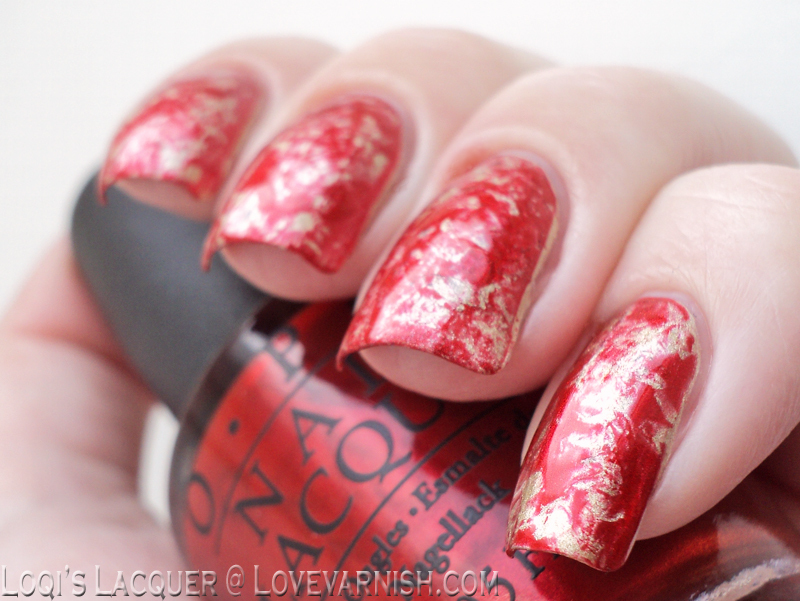 A England remains one of my favorite indies, such gorgeous shades and lovely formula's! Last year I showcased both Excalibur Renaissance and Hurt No Living Thing, so check out the original post to see more! Those blue sparkles look so pretty against the base here, and it's all from the topper from Polish Alcoholic ^^. Swatches & Review - 2 shades from Pretty & Polished! Friday Swatches & Review - 2 shades from Pretty & Polished! A green thermal with holographic finish? Yes please! This is Tomboyish, but there's anothe rfun shade reviewed as well in the original post :-). 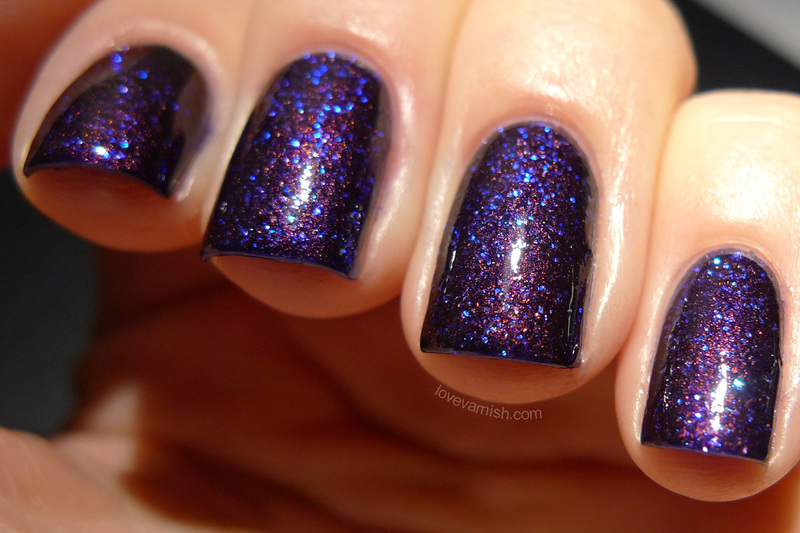 You know those velvety intense shimmery purples This is definitely one of those :D! There are also added silver shreds, check out more pictures in the original post! Swoon.... such pretties. First I want to Believe and then Mulder. Wow.